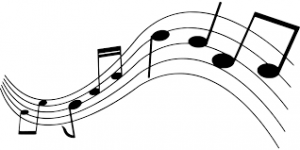 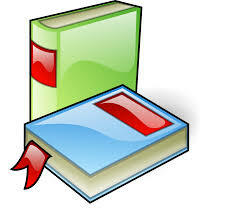 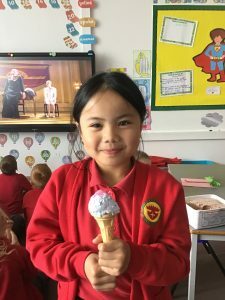 In Year 2 this week we have been learning all about explanation texts. 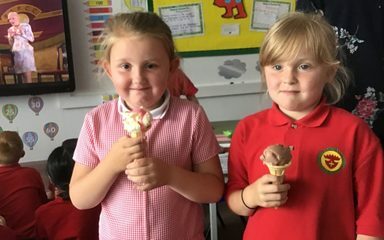 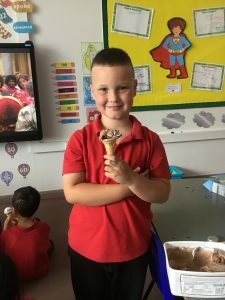 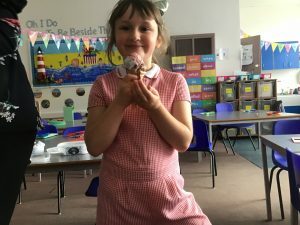 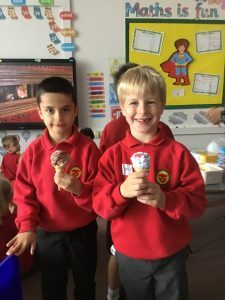 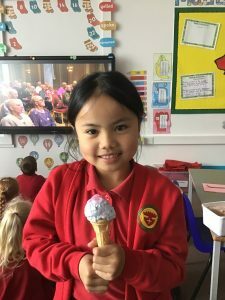 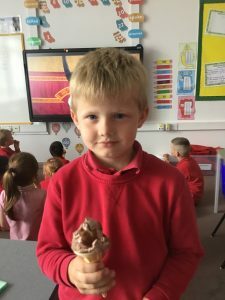 We looked at the process of making ice cream. 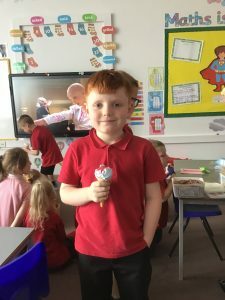 Did you know that the process actually begins in a field with a cow? 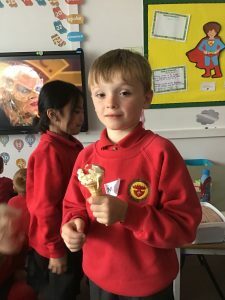 We first carried out a flow chart to make sure everything was in chronological order, then we used this to support our writing. 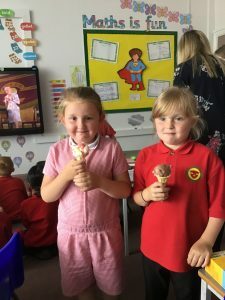 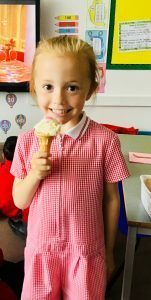 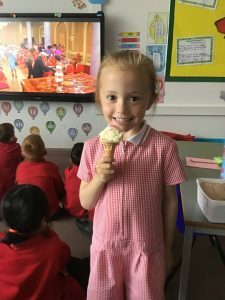 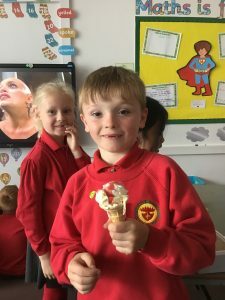 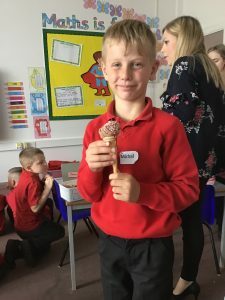 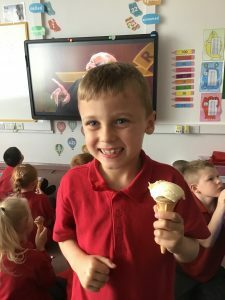 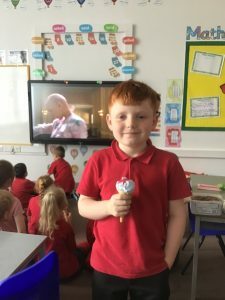 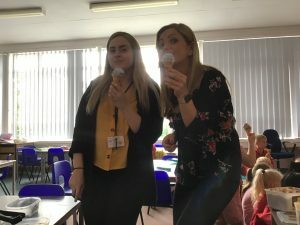 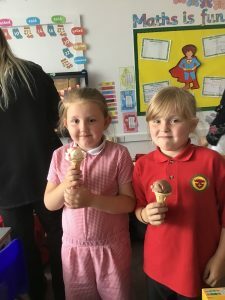 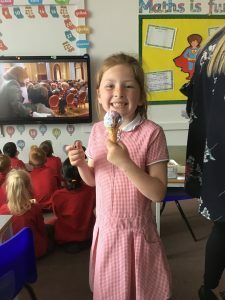 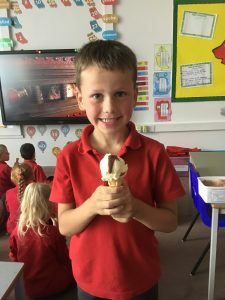 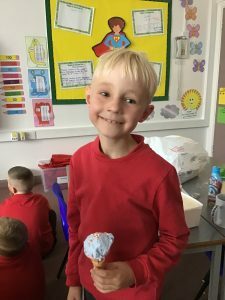 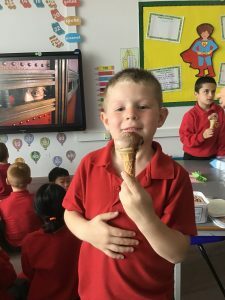 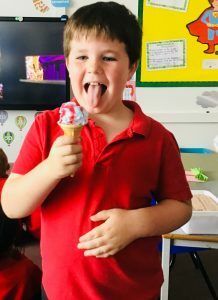 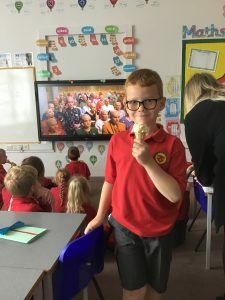 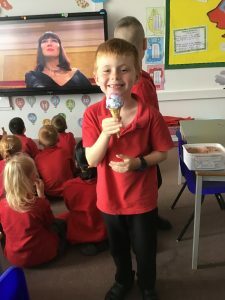 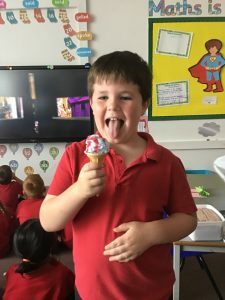 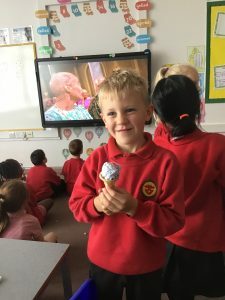 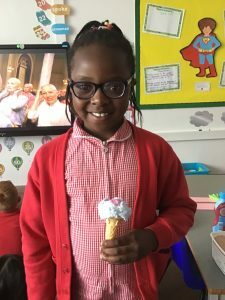 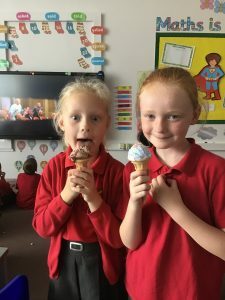 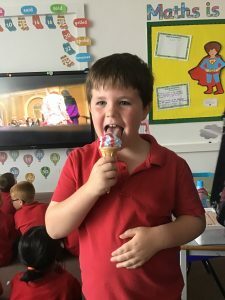 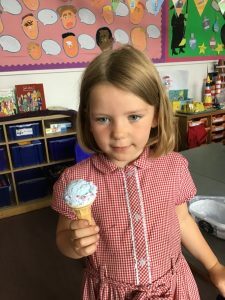 As a special treat we then got to have our very own ice cream with all the toppings.